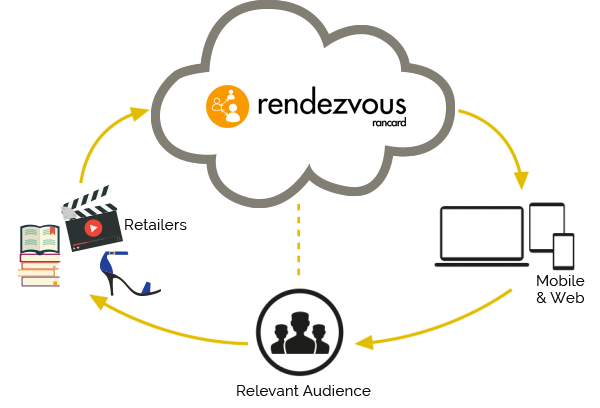 Use Rendezvous to acquire customers online at a price determined by you. 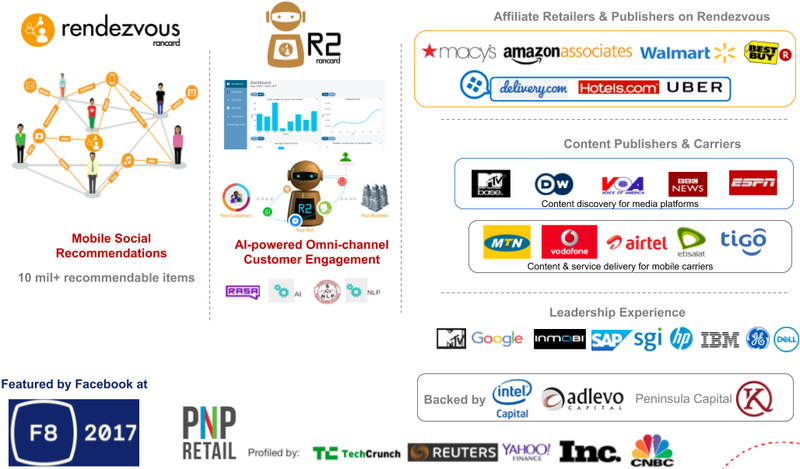 Rendezvous connects brands and consumers with highly relevant social recommendations. Social recommendations are the most trusted form of engagement for most people in viewing ads, in browsing online stores, publisher apps and portals. 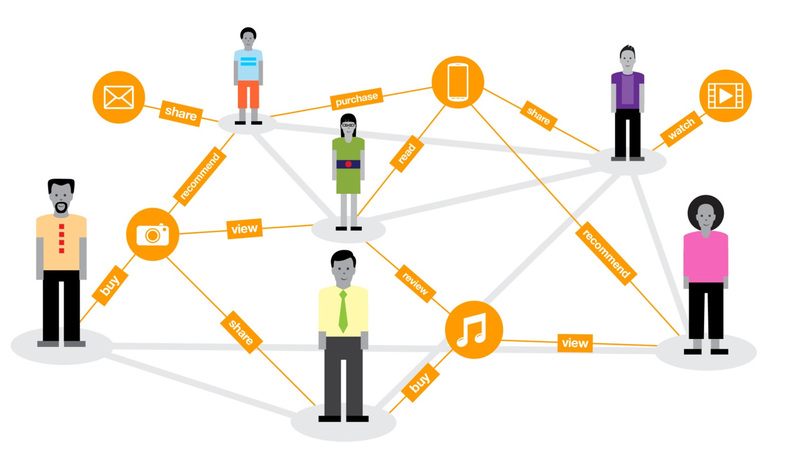 Recommendations from people we know and trust are made possible by Rendezvous with a map of shared interests among people in a social graph. The Rendezvous Campaign Manager for mobile ad campaigns and the Rendezvous SDK for apps and portals, deliver a social and serendipitous experience to your customers. Gain insight into what your customers want through our social recommendations engine to boost engagement for user acquisition and sales. Agencies that use Rendezvous as their ad tech platform benefit from superior campaign management: ease of use, cross-channel execution, analysis & reporting; with superior yield volumes on a relevant audience at a minimum cost per acquisition for their brands. We are focused on helping awesome companies everywhere connect better with relevant mobile audiences. 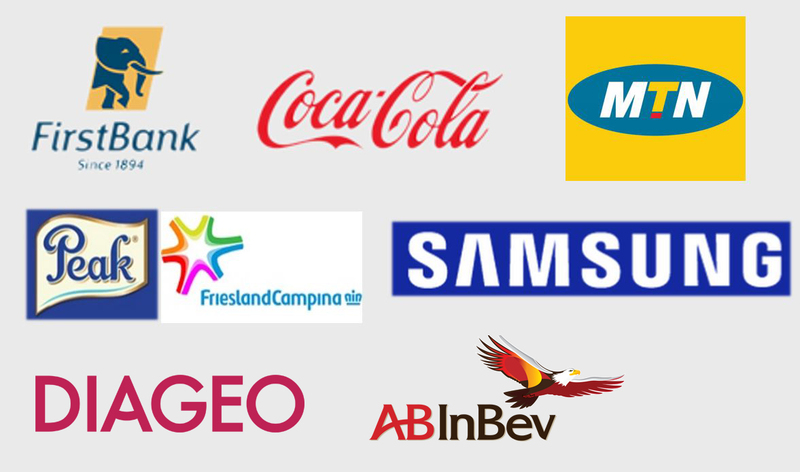 Brands that use Rendezvous benefit from a world class platform with cutting edge social recommendations technology which is the most trusted form of engaging with customers. We set out to create a truly world class technology company out of Africa which would solve relevant problems of scale for businesses across the continent and beyond. We are focused on helping awesome companies everywhere connect better with relevant mobile audiences. We put forth our best effort each day, ensuring Rancard creates and delivers quality products and services in the most sustainable way. While we’re proud of our accomplishments as a business, it’s reaffirming when third parties also recognize our efforts. Rancard has received significant recognition thanks to our innovative and leading edge technology. It is fundamental to us that we set an example of global excellence from Africa to the world. Our name, Rancard means two things; information and rendezvous. 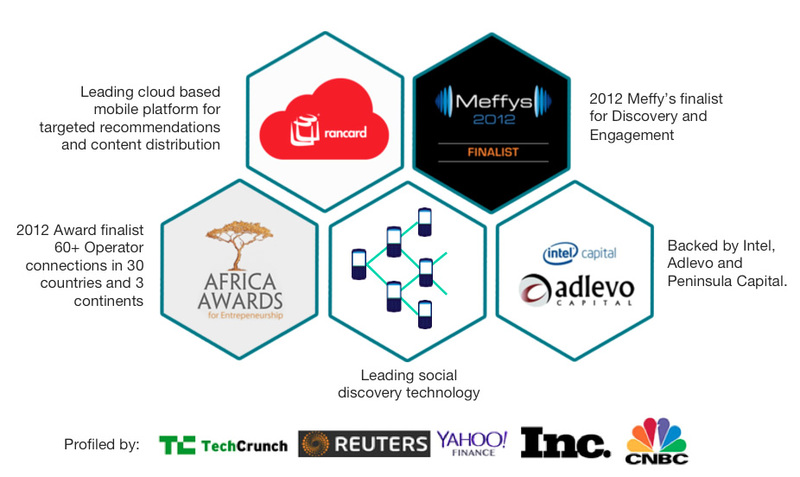 Our mission is to connect the world’s leading brands to relevant mobile audiences at the minimum cost per subscriber acquisition. Copyright © Rancard 2017. All Rights Reserved.